Margaret and Tom Beasley will host a field trip on East Cadron Creek near their home in Greenbrier. What we might see: Dutchman’s pipe, trillium, Jack-in-the-pulpit, bloodroot, spiderwort, green dragon, azaleas, violets of all colors, crested iris, ferns, Solomon’s seal—just for starters. This has motivated Tom to limb and clean up our paths!! We will have some ground transportation so we don’t have to walk too far. Directions: Exit 126 off I-40, North on 65 to Greenbrier. At the 3rd light in Greenbrier (American Drug on the R), turn Right onto 225. Go 8.6 miles to Happy Valley Road and take a Right. Go 2.2 miles on Happy Valley Road (always staying left). At this point there is a dirt road straight ahead with a street marker for Beasley Road. Go down Beasley road, thru the gate and take a Right immediately. Can’t miss us! 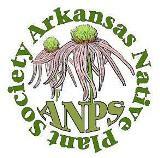 This entry was posted in Field Trips and tagged Arkansas Native Plant Society, East Cadron Creek. Bookmark the permalink.